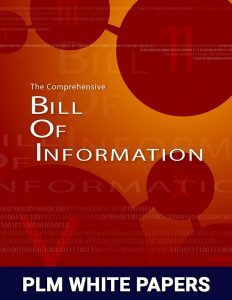 The Bill of Information is a comprehensive data model that provides visibility into the entire aggregate of product related information and serves as a blue-print for all product data including relationships, dependencies, drawings, documentation, supplier information, specifications, packaging information and more. This superset of information contained within the Bill of Information provides immediate visibility and reportability on all relevant information pertaining to any given product, project or item stored within the PLM solution. This approach provides a seamless mechanism for traceability for patent and/or legal claims as well as the sale or transfer of products between companies. Companies that adopt a Bill of Information (BOI) approach with their Product Lifecycle Management (PLM) implementations will achieve the biggest gains. 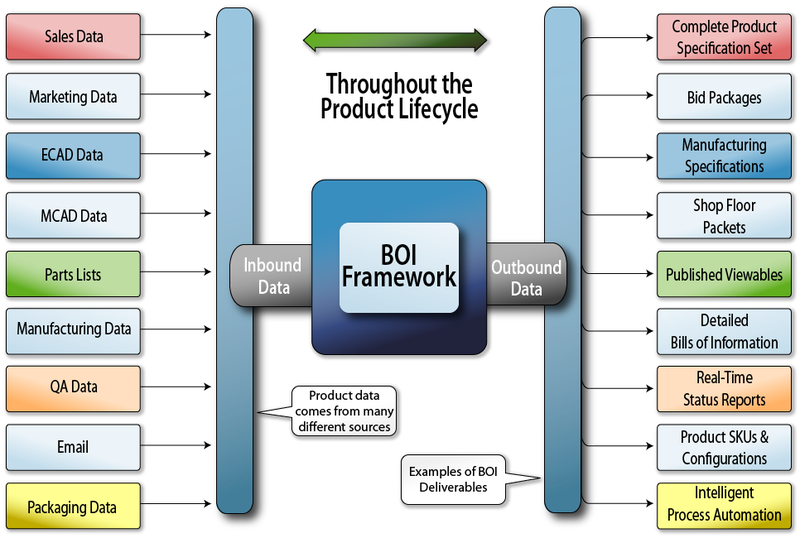 The BOI enables the real-time management and reporting from the entire collection of information at any point along a product’s lifecycle – from concept through retirement. Essig PLM white paper, The Comprehensive Bill of Information, provides insight into the fundamental concepts that make up a BOI, which serves as the “blueprint” that describes your finished product. To fully define your company’s intellectual property it is essential to capture, document and retain the BOI. 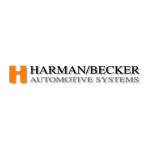 Improved management of product information for all product lines supporting every major department. Customized reporting of engineering change status and bills of information. 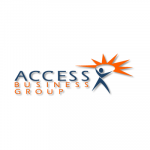 Centralized, faster data access and reduced administrative and mailing costs account for savings of over $1 million annually.